At Access we think 10 is a great number, here are our top 10 reasons for loving the number 10. Data; cabinets, cable, panels & patch. Bulk cable suitable for the IT industries, Security industry, Air-Conditioning Industry& AV industry. Telecommunications cable, plugs & tools. Power supplies, IEC cords, Switches & GPO's. 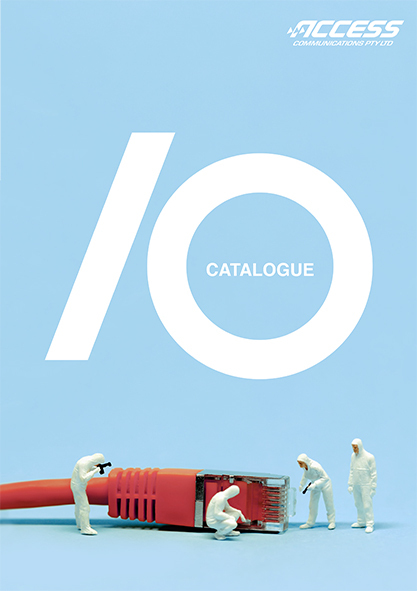 Each product in the catalogue is linked to it's web page for further product information and easy ordering. And information on the 10 world leading brands we distribute. 10 is a great number!